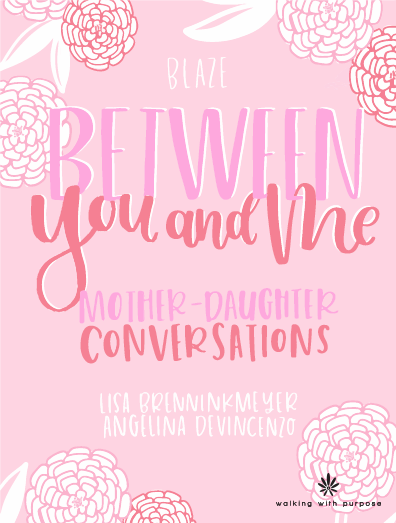 Between You and Me is a 40-day conversation guide for mothers and daughters to read together. Each day compares a lie of our secular culture with the truth found in Scripture. The daily reflection, opportunity to journal, discussion questions and prayer prompts will springboard the mother/daughter relationship to a new level of honesty and intimacy. Between You and Me is a beautiful stand-alone book but is also a perfect accompaniment to other Blaze offerings.